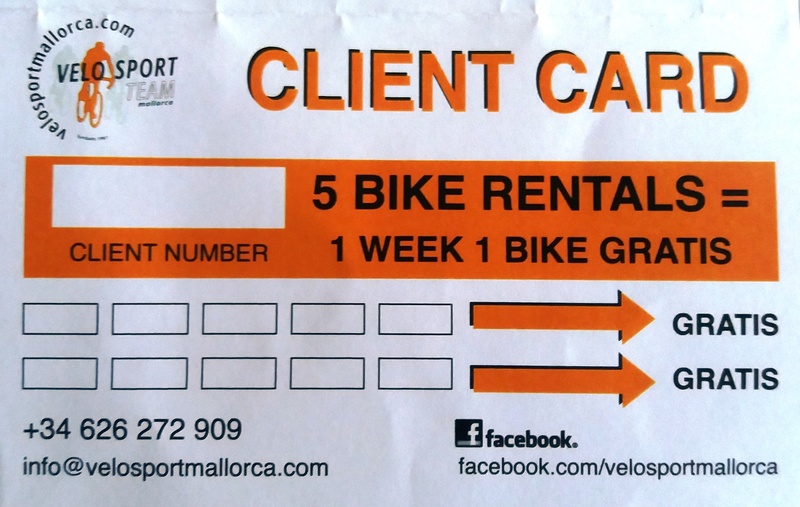 In january 2017 we introduced the ‘Velo Sport Client Card’. We acknowledge and are very grateful that many of you rent bikes regularly from us. In return we would like to thank you by making every 6th reservation, after 5 reservations (RESERVATIONS not BIKES) of 4 days each bike or more, free. If one person reserves 3 bikes for example – that’s 1 reservation and not 3 reservations.